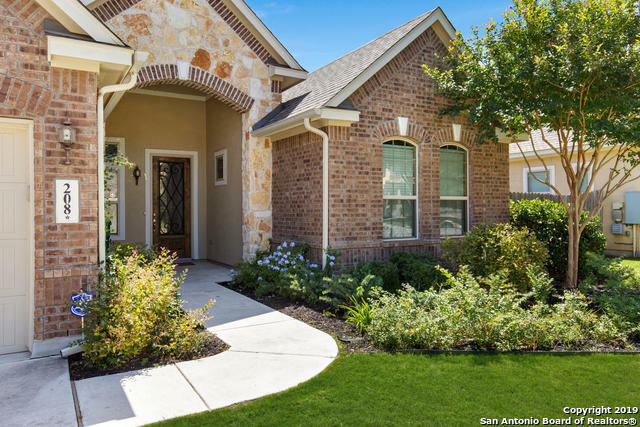 All WOODS OF FREDERICK CREEK homes currently listed for sale in Boerne as of 04/20/2019 are shown below. You can change the search criteria at any time by pressing the 'Change Search' button below. "Owner Finance! Quick Access to I10. Enjoy Large Pergola, covered patio & outdoor jacuzzi. Detailed finishes, recent paint inside and out, and recent high grade carpet! Master has plenty of room for large furnishings or possible sitting area. Master is on the main & home is complemented w/ 4 additional bedrooms & large bonus upstairs. Kitchen includes good counter work space. Plenty of cabinets and great storage. Inviting fireplace. Garage w/ workshop & shelving." 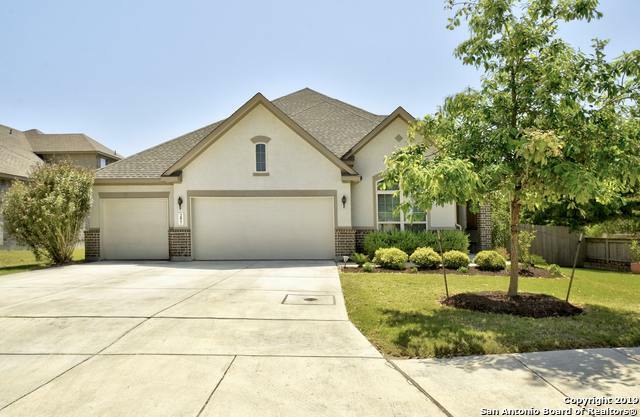 "This beautiful home sits on a cul-de-sac featuring an open floor plan w/all bedrooms downstairs*large game room up with 1/2bath* Entry leads into a spacious living room w/hardwood floors! Plenty of storage in the kitchen with granite counters, big island, walk in pantry & SS appliances. The large master suite features a window seat & SPA bath with large closet. Beautiful landscaping and covered porch to enjoy entertaining! Right around the corner from FABRA elementary & the neighborhood park! N"
"Spacious home with tall, open living area. Large covered patio always shady during summer, and features second fireplace for heat during winter. Smaller, covered side-patio with deck. Three-car garage and extra bedroom added at time of construction. Huge attic with abundant space for storage or potential finish-out for a game room, entertainment center, study, etc. Minutes from IH-10; convenient spot for commuters." "Canton Plan, Beautiful1.5 story, 3 Bedrooms, 2.5 baths, STUDY, MEDIA ROOM w/Powder Room upstairs...covered patio, spacious OPEN FLOOR PLAN..large GOURMET KITCHEN W/BUILT-IN STAINLESS appliances, ISLAND, breakfast bar, tile backsplash, GRANITE countertops....also SPRINKLER SYSTEM, UPGRADED CARPET, TILE throughout....Corner lot, cul-de-sac...."
"This home has it all! Beautiful two story corner lot home in The Woods of Frederick Creek. Open concept eat-in kitchen that looks over large living area. Downstairs flex room could be used as a mother-in law suite. Separate dining, office, and game room. Expansive master featuring full bath with jetted tub and walk-in shower. Sizable secondary bedrooms. Backyard with covered patio perfect for summer BBQs. Great location near neighborhood park/playground. Short drive to downtown Boerne shops and "
"In this Picture Perfect home you'll find charming farmhouse character minutes away from downtown Boerne! This home will capture all your must haves with its open kitchen, granite counters, 2 living spaces, intercom system, second master upstairs, epoxy garage flooring, first floor crown molding & custom cabinets. If that doesn't frame all your dreams look beyond the glass at the custom covered patio extension & upstairs balcony! Get the picture?? Call today to come see, It will be gone in a flas"
"Move right in and enjoy cooking and entertaining on your huge granite island breakfast bar, open concept family room w 18 foot cathedral ceiling, arched doorways, ceramic tile, downstairs master with large bath and builder upgrades galore, formal dinning room or office, upstairs bonus media room. Enjoy the unobstructed sunset view from your large covered patio in a private backyard with no rear neighbors, shaded by mature trees. 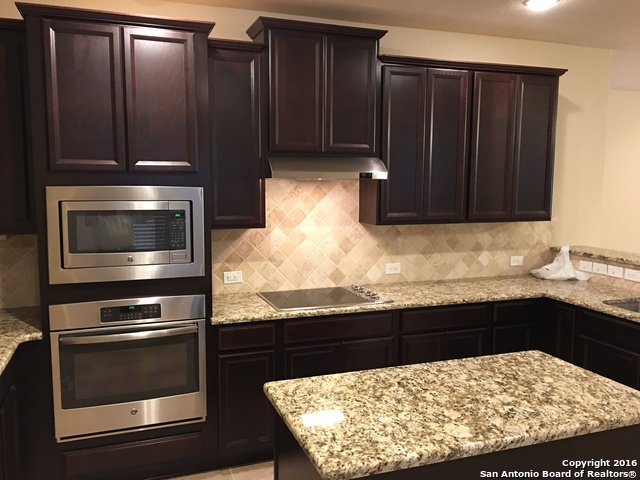 Easy access I10, Boerne restaurants, walk to new Fabra elementary o"
"Wonderful CLEAN Home in The Woods of Fredericks Creek**Only 1 mile from the town square**Fresh interior paint 2019** New Carpet 2019**Private office at the front of the home** Unique floorpan with 2 secondary bedrooms divided by a private living area** Large Master Suite**Upstairs would make a great game room OR bedroom with its own walk-in closet and full bathroom**Nicely upgraded with granite, larger baseboards and crown molding** Security System**Great Location**"
"Family friendly home with 4 BR, 2.5 BA, 2,690 SF, open floor plan, high ceilings, and many upgrades. Mint condition & move-in ready. Living areas: Family rm, Living rm/office, game rm w/balcony. Privacy fenced backyard w/covered patio. Recent updates: new carpet, pad, lighting & paint. Exemplary Boerne school district, walk to new elementary school neighborhood park! Easy access to downtown Boerne, the shops at La Cantera, Six Flags, The Rim, schools, dining & entertainment. Now at lowest price "